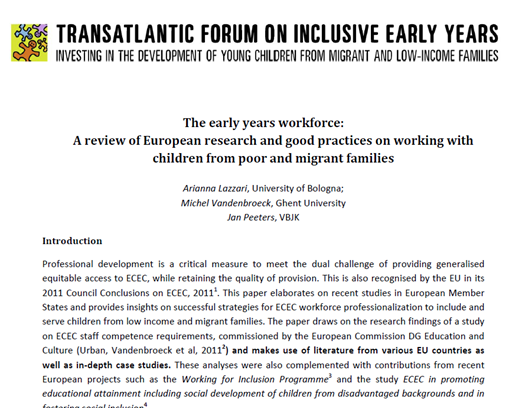 What competences do professionals need to work with children from low income and migrant families? What kind of initial professionals need to work with children from low income and migrant families? What kind of continuing professional development is needed? What kind of governance is needed?